With the arrival of JVC’s first mainstream native 4K projectors delayed since their September launch, rival Sony has had the true 4K business largely to itself for the past few months. And it’s capitalised on this good fortune with the excellent entry-level and mid-range VPL-VW270ES and VPL-VW570ES. Now, though, it’s aiming for the high-end, with the VPL-VW870ES – yours for a quid shy of £. This dedicated cinema beamer sets about justifying its premium price with two key features (and a bunch of other smaller ones). First, it uses a laser diode lighting system rather than the traditional lamp of its junior siblings. 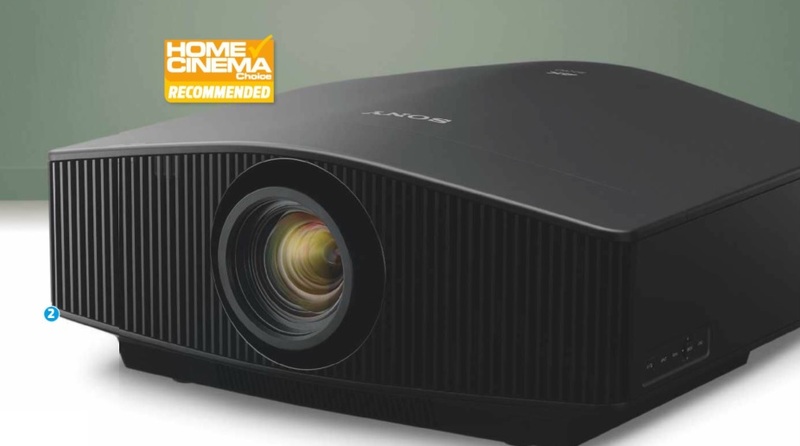 This is rated to deliver a brightness hit of 2,200 Lumens, which is 400 more than you get from the lamp-based VPL-VW570ES [see HCC #295] – but still 2,800 fewer than claimed by SIM2’s Nero 4S 4K DLP projector [see HCC #296]. The laser brings more than a brightness boost, also allowing for a slightly wider colour range than normal lamps, as well as a suggested 20,000 hours of uninterrupted life. Lamp projectors, by comparison, usually need new bulbs every 3,000-6,000 hours. And lamps deteriorate over their lifespan more than lasers do. The other key improvement the VPL-VW870ES offers is its lens. This is an 18-segment, all-glass affair specifically designed to get the maximum effect from the projector’s 4,096 x 2,160-resolution SXRD imaging chips. There’s an exclusive new Digital Focus Optimiser, too, that Sony says will compensate for any potential degradation the lens may suffer over time. Furthermore, the VPL-VW870ES is the first home cinema projector I know of that can simultaneously manipulate both the light output of its laser and a dynamic iris to optimise contrast. This is potentially very significant, given laser projectors’ shortcomings with black level response. A feature that installers will appreciate is an optional short-throw lens with a throw ratio of 0.80-1.02:1 – the standard lens ranges from 1.27-2.73:1. The projector’s connections aid full system integration, too, with two 12V trigger ports, plus Ethernet, IR and RS-232C control jacks. Basic setup is as slick as you’d expect. The PJ has a large (2.06x) optical zoom, lots of vertical and horizontal image shifting, and motorised control over all these adjustments via an excellent backlit remote control. The VPL-VW870ES joins the more affordable models in Sony’s latest range in finally featuring 18Gbps-capable HDMI inputs, meaning it can handle 4K HDR feeds at up to 60fps. These can be in either the HDR10 or HLG formats; there’s no support for HDR10+ or Dolby Vision, but no other home cinema projector I know of supports those, either. 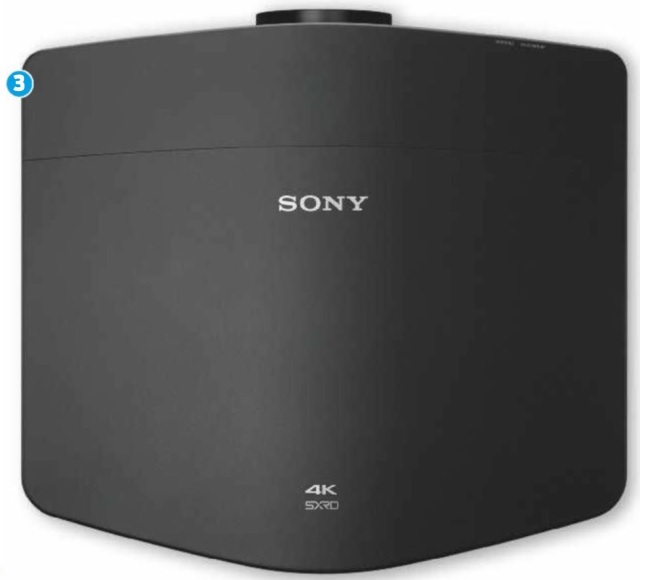 The Sony plays back 3D and carries a built-in 3D transmitter. It doesn’t ship with any 3D glasses, though, and none were provided for this review. Wrapping up the VPL-VW870ES’s key features is a trilogy of Sony processing systems. Reality Creation is on hand to improve picture sharpness and upscaling of sub-4K sources, while Sony’s Triluminos system expands the projector’s colour range. And, lastly, a multitude of settings are provided for Sony’s Motionflow engine for reducing judder and blur. Movie enthusiasts will likely avoid this feature, but actually I’d recommend at least giving the subtle True Cinema option a trial. The VPL-VW870ES is bigger and heavier than other Sony 4K projectors. This is to accommodate the laser diode and provide extra ventilation to help dissipate the heat the laser generates. It wears its size pretty well for the most part, with an attractive curved upper edge, opulent finish and impeccable build quality. seem ‘enhanced’, ensuring there’s none of that bleached feel you can get with display devices that just ramp up brightness without also expanding colour response. More surprising is the way the VPL-VW870ES combines its good HDR brightness and punch (by projector standards) with some respectable black levels. I’m not talking, to be clear, about the sort of Stygian tones typically obtained from JVC’s D-ILA models. But it’s a decent improvement over Sony’s previous laser outing, the VPL-VW760ES, even when handling images containing such extremes of light and dark as those during First Man’s moon landing sequences. And there’s enough shadow detail in dark areas to avoid the sensation of hollow, two-dimensional visuals. Scenes that are predominantly dark do appear greyer than they can do on some substantially cheaper DLP projectors, but those simply don’t have the brightness to do HDR as much justice. This projector’s pictures are also phenomenally sharp. IMAX moon sequences in First Man bristle with texture and detail, uncovering every grain of moon dust and every thread of the astronauts’ suits. There’s a more natural feel to the film grain effects captured in the First Man and Bohemian Rhapsody 4K encodes too, and the sense of pixel density the VPL-VW870ES delivers on a bigscreen compared with an HD model is beautiful – a truly cinematic experience. As said earlier, use the gentle True Cinema Motionflow preset to retain this scintillating sharpness with motion. You do have to be careful how you set up the VPL- VW870ES if you want to optimise its HDR playback. The HDR Reference mode proves disappointing. It tries to deliver the most authentic sense of the full range of an HDR signal, but looks too dark on average, and clips detailing out of the brightest areas of an image. Saving the day is Sony’s Contrast HDR adjustment, which essentially lets you trade higher average brightness levels for less light range when watching HDR content. Purists may wince at the idea of this sort of tool, but during my audition I found it invaluable in getting the most watchable pictures from a format that was, let’s not forget, designed for flatscreens rather than PJs. Last issue I reviewed SIM2’s Nero 4S, and it makes for an interesting comparison. Sony’s laser model does not deliver HDR with as much raw impact and authenticity as the 5,000-Lumens DLP-based SIM2. All that extra brightness available to the Nero 4S makes a potent difference. Yet the VPL-VW870ES is cheaper. And while the SIM2 may beat it when it comes to HDR, the Sony adapts better to the relatively limited brightness, colour and contrast of standard dynamic range material. Certainly, if you’re spending this sort of money on a projector you won’t be skimping on 4K HDR sources, but SDR still has its place. 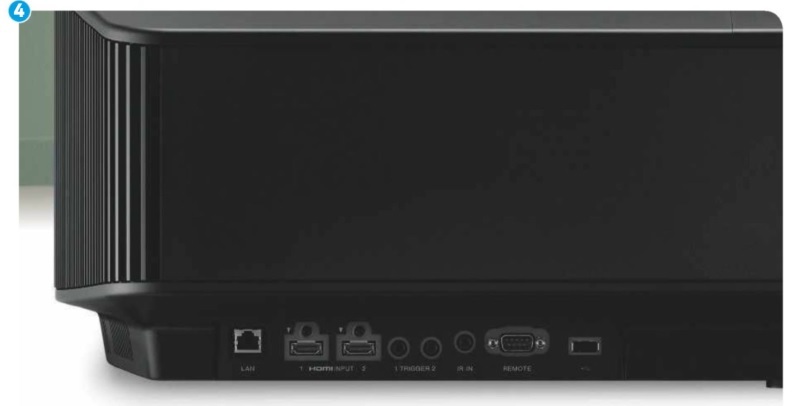 In fact, if you anticipate watching a lot of SDR content (your lovingly built Blu-ray library, for instance) on your new PJ, you might fare better with the VPL-VW570ES, and save yourself £ in the process. Further comparisons with SIM2’s Nero 4S reveal this Sony running slightly more quietly in HDR mode (not surprising given how much brightness the SIM2 is pumping out), and taking a considerably faster (and more gaming- friendly) 30ms to render its images if you choose its Input Lag Reduction mode. Sony’s VPL-VW870ES is supremely talented and impressively flexible. It’s well-connected, luxurious in operation and has a 4K sharpness that routinely dazzles. But it’s also expensive, and whether it’s worth £ more than the VPL-VW570ES to anyone who isn’t driving a truly massive screen is debatable. Also, if you’re going all-in on 4K HDR projection, you’ll probably want to audition its substantially brighter SIM2 rival. Adding a laser to Sony's SXRD projection technology and processing talents reaps performance and usability rewards. Strong competition above/below this price, though. S0NY VPLL-Z7008: With its throw ratio of 0.80-1.02:1, Sony’s optional short-throw lens caters to more challenging room environments while retaining vertical (+/- 50%) and horizontal (+/-18%) lens shift.